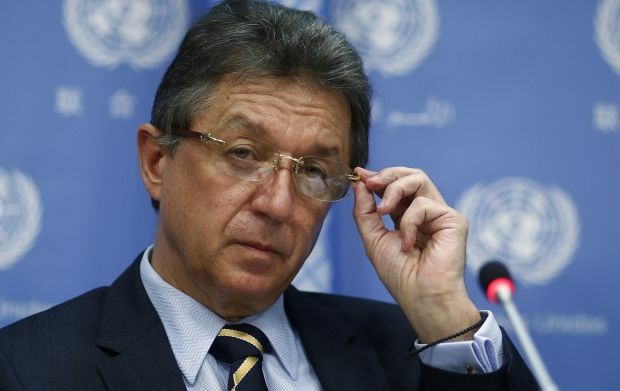 Former Permanent Representative of Ukraine to the United Nations Yuriy Sergeyev has announced the end of his diplomatic career. "My friends, everything that has a beginning has an ending. Today I've decided to retire after many years' career as a diplomat," Sergeyev wrote on Twitter. He thanked everyone for support and noted that, "after all, one can serve Ukraine in other ways." As UNIAN reported earlier, on December 9, 2015, Ukrainian President Petro Poroshenko appointed a new Permanent Representative of Ukraine to the United Nations, having accredited the candidacy of Volodymyr Yelchenko. Sergeyev was Permanent Representative of Ukraine to the UN from April 2007 to December 2015.